Welcome to Trinity Business School. Our graduates benefit from having earned a cutting-edge business degree from a university that is both well-known and highly regarded across the World. Trinity College Dublin is ranked 1st in Ireland and 104th in the top universities in the world by the QS World University Rankings and we are not too surprised to see our stunning campus listed in the Lonely Planet’s Top 500 Best Places on the Planet as we have over 160,000 tourists visiting each year. 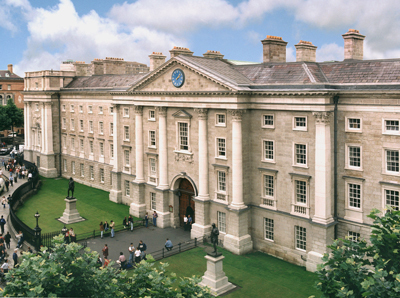 Trinity College Dublin has a robust reputation as a leading international university which extends over four centuries. Trinity Business School was founded in 1925 and has had an innovative role in management education and research which both serve and influence industry. Over the years, our School has played a pioneering role in bringing the MBA to Europe and has created one of Europe’s most sought-after undergraduate business degree programmes. We have a series of top-ranked MSc programmes and our innovative new undergraduate business degree (Bachelor of Business Studies, BBS) will take in its first students in 2016/17. We also have a vibrant PhD programme with successful graduates working across the globe and generating impact through their research. Education focused on careers and business performance. Programmes which create great careers for our graduates and excellent performance for the businesses in which they are engaged. Our graduates learn cutting-edge real-world management from both leading researchers and high-performance business executives and entrepreneurs. A real-business educational environment. 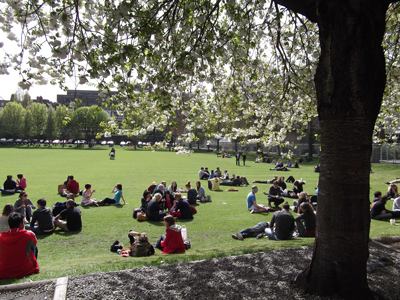 The University is located right in the centre of the vibrant and friendly Dublin City. We are adjacent to the Irish Financial Services Centre (IFSC), Europe’s digital industries capital, government and public sector management headquarters, city centre retail, professional services industries and Ireland’s cultural industry sectors. Quite simply, we have cutting-edge global corporations and high-performance new ventures on our doorstep. We are based in a highly entrepreneurial university and provide students with the education which they need to excel in established and new businesses. An entrepreneurial hub will be located at the core of our new business school building and we already provide students with excellent opportunities to develop new ventures. Rigorous research which serves and critically evaluates a business. Creating and then disseminating research which addresses questions which both serve and critically engage with real-business practice and public policy. Ranked 1st in Ireland and 2nd in Western Europe for Corporate Finance (Eduniversal 2018), the MSc in Finance offered by Trinity College Dublin, is designed for students who wish to develop their careers in the financial services arena. Delivered by expert faculty and leading finance practitioners, students will receive the highest analytical and practical training possible. Trinity Business School is partnered with the Chartered Alternative Investment Analyst (CAIA) Association and the Chartered Financial Analyst (CFA) Institute – both of whom have recognised the academic rigour and industry-relevant skills taught to students. This programme is designed for students with a quantitative background who want to explore how financial tools can be used to mitigate risk for corporations and society. Students learn how to interpret and assess the risk of individual financial instruments and assets while critiquing modern finance from a risk perspective. 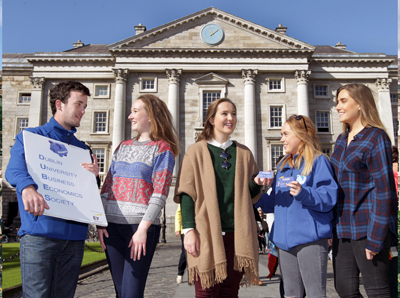 Ranked 1st in Ireland and 1st in Western Europe for General Management (Eduniversal 2018), the MSc in Management offered by Trinity College Dublin is designed for non-business graduates. It will complement your undergraduate degree and equip you with the management skills necessary to succeed in today's globalised business environment.